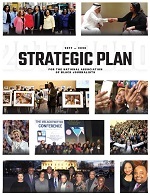 WASHINGTON, D.C. (Oct. 25, 2016) – The Poynter Institute and the National Association of Black Journalists (NABJ) are pleased to announce the 2016 class for the Poynter-NABJ Leadership Academy for Diversity in Digital Media, a transformational leadership program for journalists of color. The 25 participants, chosen from a pool of more than 200 applicants, are emerging leaders in digital media who have demonstrated an aptitude and potential for leadership through current projects and references. The academy will include guidance on navigating newsroom culture, leadership styles, the business of journalism and entrepreneurship, as well as networking and one-on-one coaching. 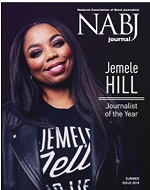 The 2016 Poynter-NABJ Leadership Academy for Diversity in Digital Media is made possible through the generous support of the program’s naming sponsor, The New York Times, as well as additional funding from Facebook, Google, the Scripps Howard Foundation and the TEGNA Foundation. Brandon Vaughn, digital content producer, Community Newspaper Holdings, Inc. Participants will spend Dec. 4-9 at The Poynter Institute in St. Petersburg, Florida. The week will be led by prominent leaders in the startup, tech, media and academic fields, including media strategist and startup adviser Ju-Don Marshall Roberts, formerly of the Center for Cooperative Media and The Washington Post; Mark Luckie, former head of journalism and media for Reddit; Donna Byrd, publisher of The Root and vice president of digital for Univision; Rashida Jones, managing editor, dayside, for MSNBC; and Mizell Stewart III, vice president of news operations for the USA TODAY Network and president of the American Society of News Editors. Other faculty include Poynter’s Butch Ward and Al Tompkins. The Poynter-NABJ program builds upon the dynamic ONA-Poynter Leadership Academy for Women, which has offered training to the best and the brightest women in digital media in the last two years. Applications for the third Women’s Leadership Academy at Poynter will be accepted starting in November.